It began with a guy starting as an apprentice at the distillery, Mike Schütz. He came up with a recipe of his own and distillery master Oliver Matter helped him realize the dream of making it. 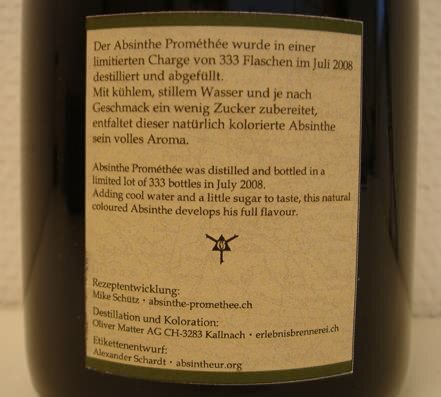 I met Mike at the distillery when I was there for the absinthe festival in Boveresse and he gave me a little sample bottle of his test distillation. A very interesting drink with a lot of potential. It was crisp, clean, complex and easily enjoyable. Just recently they released the one off limited edition of the full scale version of it and I must say that it is really quite nice. It shows good promise already when pouring it in the glass, revealing a pretty, light green color and a nice scent rising from it. There are clear notes of wormwood and anise but they are nicely blended with all the ingredients into a nice complex aroma. Tiny hints of what is probably Angelica and subtle hints of what must be coriander show in there but the nice blend makes it rather difficuly to pinpoint all the ingredients. 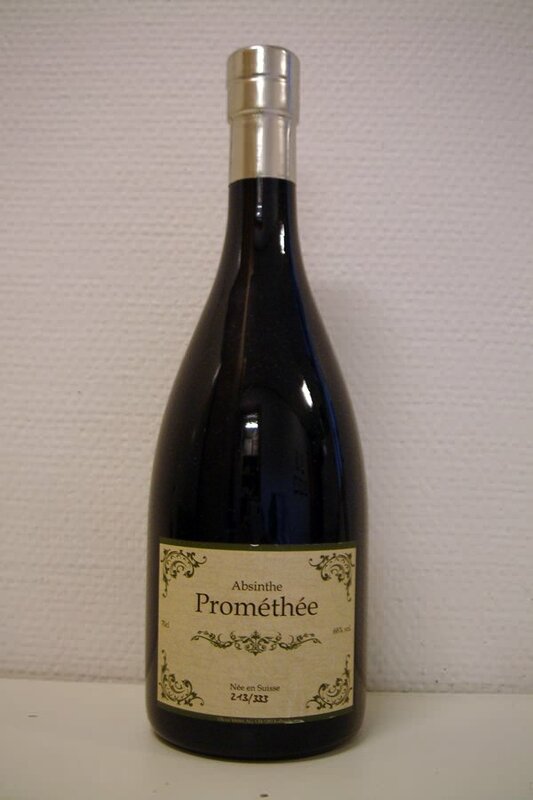 Adding iced water to the Prométhée produces a fine louche, building steadily from the bottom and ending up as a nicely opaque light green drink. 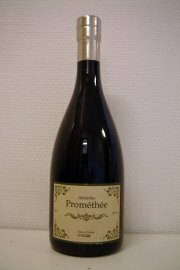 Tasting it now confirms that the aroma and the complexity is well carried over into the taste and it goes down smoothly. Sure, it doesn't knock you off your feet as L'Italienne and there are little bits and pieces that I personally would like to kick up a notch but it's definitely a good absinthe. 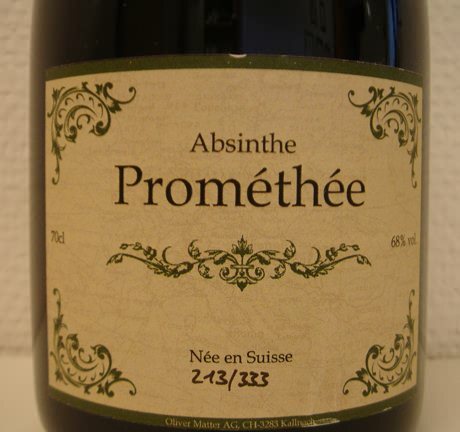 It came as no surprise when I heard that it was sold out in only four days at Absinthe.de but as far as I know it can still be found at Absintheonline.com and also in Paris based shop Vert d'Absinthe. My suggestion? Go get it - there will be no more once this is gone and you won't be disappointed. It's a good absinthe.